Most Nigerian sports fans only follow football, boxing, basketball and athletics. Rarely do games like bobsled interest us, or mean anything to us. Which is why many people may not yet know about Seun Adigun, Ngozi Onwumere and Akuoma Omeoga. 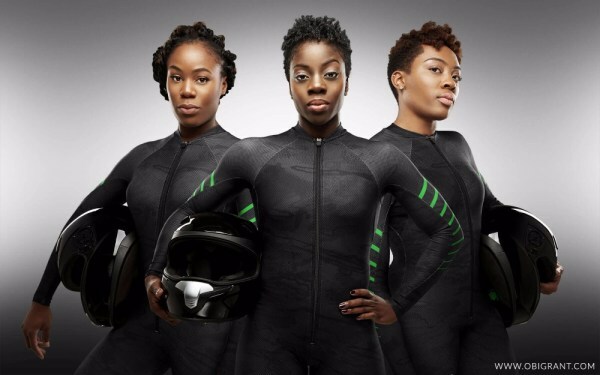 The three young women are in the race to be the first Nigerian team to compete at the Winter Olympics. The bobsled is a sport where a motorised sled is raced by a team of three or four people on an icy surface. As Nigeria has no snow, it is as foreign to us as winter is. But for Adigun, Onwumere and Omeoga who were all track and field athletes in the past, their quest for glory in this sport is about making history and introducing it to Nigeria. While they’re getting little support from the Nigerian Olympic Committee, they have started a Gofundme account to help them get training and equipment for the Winter Olympics which is less than a year away. They’ve only received $17,000 from the $150,000 they’re hoping to get; but they are now only three competitions away from qualifying for the Korean Winter Olympics. ‘Making it to the Olympic Games will be a very pivotal moment in not only the history of Nigeria and Africa, but also in the sport of bobsled,’ Adigun wrote.